History was made today in the Texas Senate chamber as Pete Flores, a retired game warden from South Texas, was sworn in as the state’s first Hispanic Republican State Senator. Flores won the seat in a special election last month in a surprise victory that surprised political onlookers statewide. Many had written off Flores’ hopes of winning the seat. However, Flores ran an aggressive campaign matched by a surge of grassroots energy in the district. Add to that the support of Lt. Gov. Dan Patrick and Texans for Fiscal Responsibility and Flores ultimately carried the day. 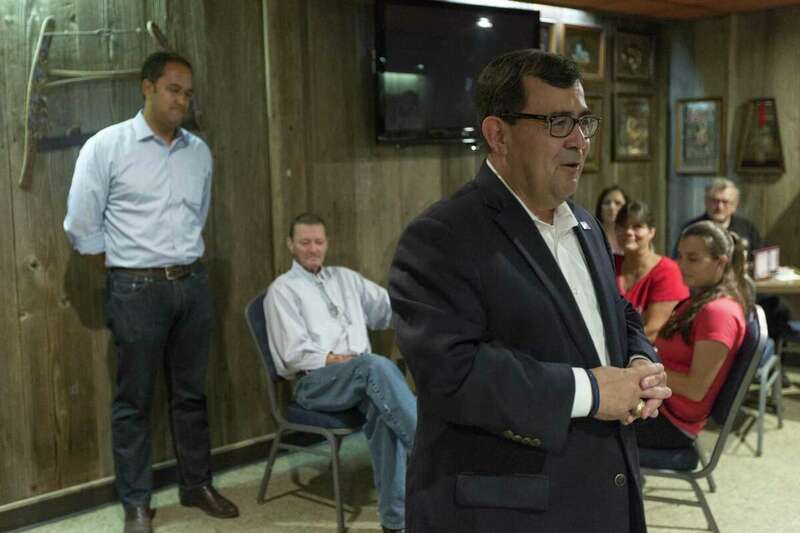 Previously occupied by Democrat State Sen. Carlos Uresti—who was forced to resign from office after being convicted of several federal crimes and sentenced to prison—Senate District 19 had not been held by a Republican since Reconstruction. The 23rd Congressional District is Texas’ one true swing district. It forms a claw that holds on to the heart of San Antonio and then stretches west all along the border to El Paso County. It’s a gigantic district, encompassing two time zones as well as about two-thirds of the Texas-Mexico border, and it’s more than 70 percent Latino. If a backlash to Trump — the president who demonizes Mexican Americans, separates children from their parents at the border and obsesses about building a border wall — were to materialize anywhere, you would think it would be here. But in Texas, perennial concerns about low Latino turnout are again rearing their head. 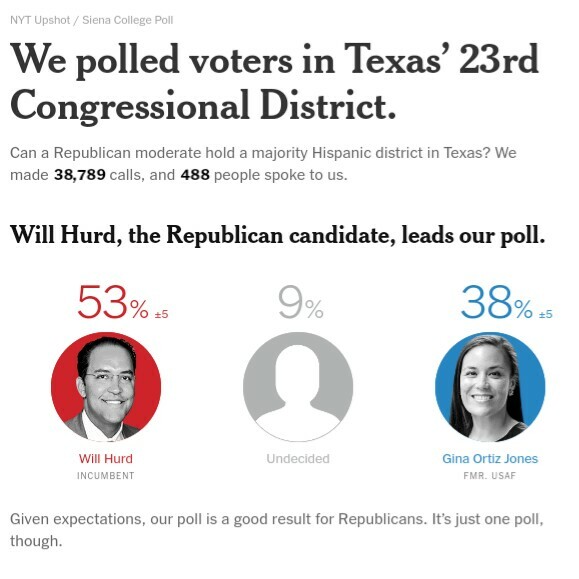 “If you were banking on the Bexar County Democratic Party to carry a heavy share of the load [in the 23rd], you probably want to rethink your plan,” Mark Jones, a Rice University political science professor, warned. Strong Border Security positions help in November -- While Hurd is a sometimes squish, Flores isn't. That this is happening at the same time as Trump is doing what he's doing (and the legislature is, however reluctantly, doing what they're doing) tells you everything you need to know. If the GOP's immigration position were "toxic,' they wouldn't be winning in Southwest Texas. The Democrats are simply too liberal (esp. on Guns and Babies) -- We've made this observation before, but it remains true. Southwest Texas REALLY isn't into Bobby Francis -- These are the same counties that he lost in his primary disaster.